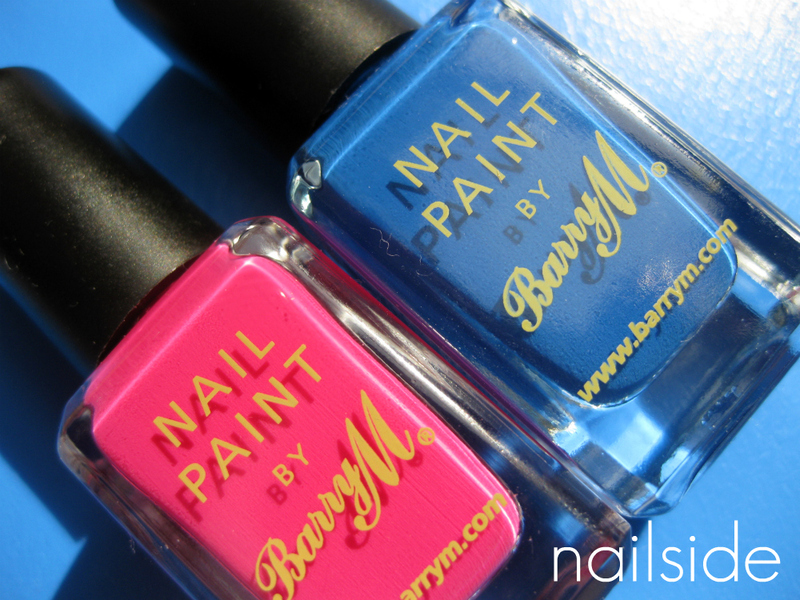 Hello dear readers, for this look I upgraded yesterday's mani, which was Barry M Shocking Pink. It's amazing how little effort it takes to completely change the look with just a piece of tape. Shocking Pink on it's own was girly fierce and summery, but with Cobalt Blue added to one half of the nail, the whole becomes sporty and kind of '80s. 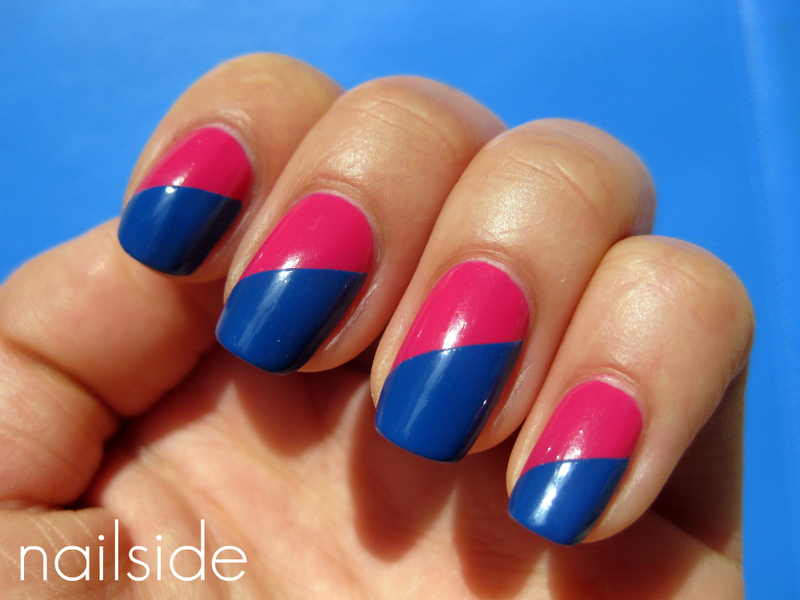 Oh, the '80s style on the nail, don't you just love that? I'm sure I'll do an entirely '80s-themed post with several looks in the near future, can't wait! I definitely need to use the Scotch tape I bought for manis. love the colors! barry M bottles are so cute. wow so bright and beautiful, i love it! oh my this is just so vibrant. I love the colors together! Thanks everyone, I also love the colours together, hence 'The couple', haha.